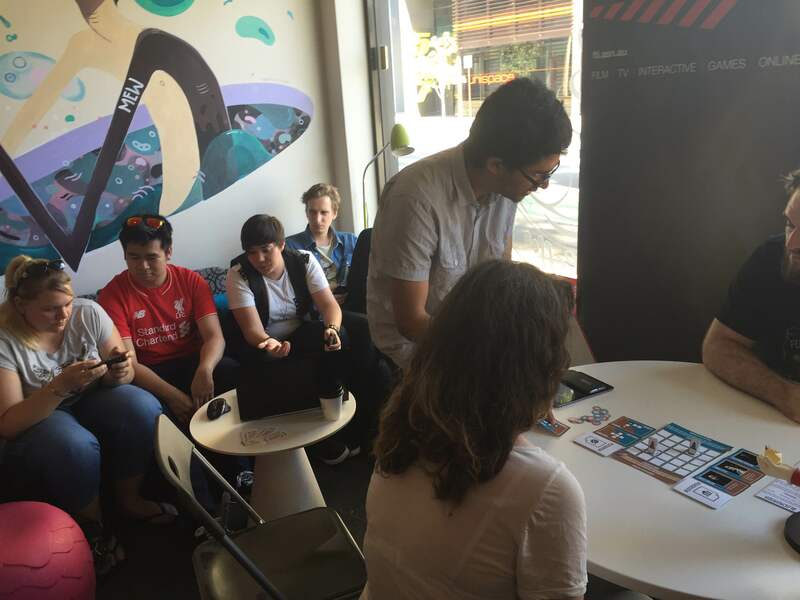 Playup Perth Global Game Jam 2016 Edition Report! 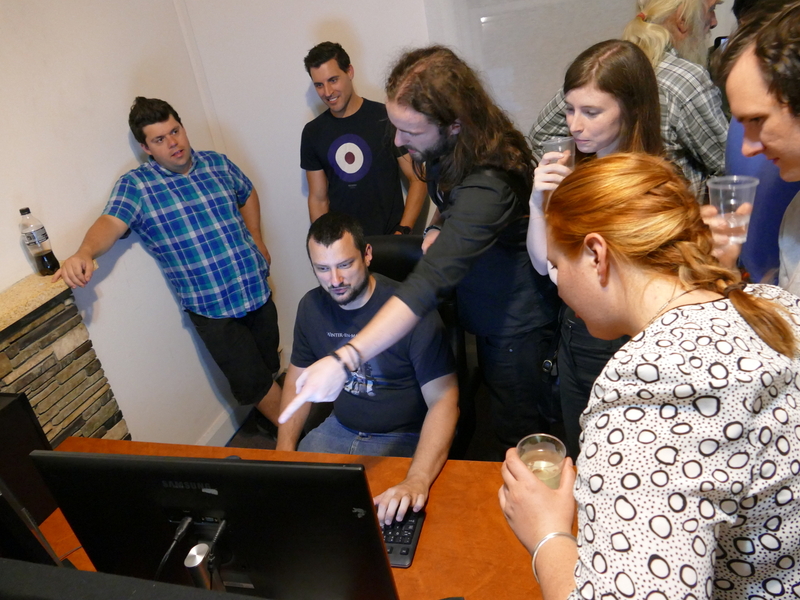 A few weeks ago, this years’ Global Game Jam quietly ran for any Perth dwellers mad enough to try and make a game in 48 hours. I was there, and let me tell you, my game sucked, but there was some damn good stuff being pumped out! 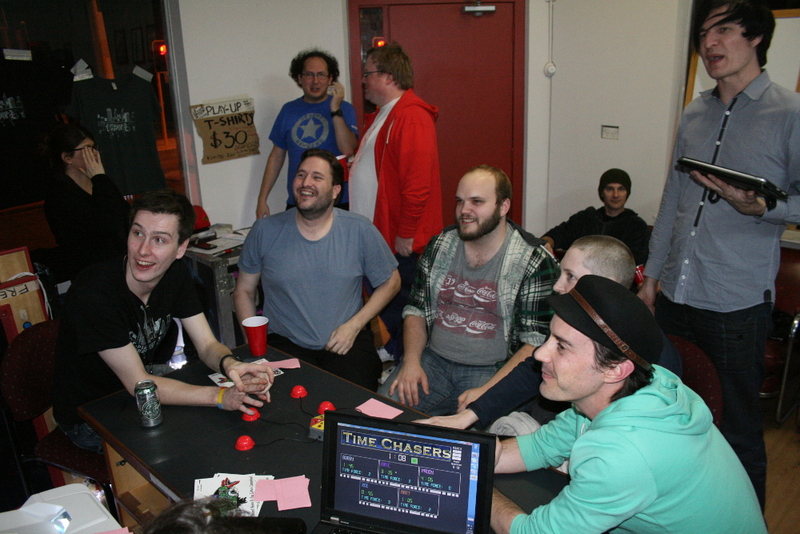 This playup was a chance for the participants to show off their efforts and celebrate the fact that they made a game in 48 hours (quite the achievement). 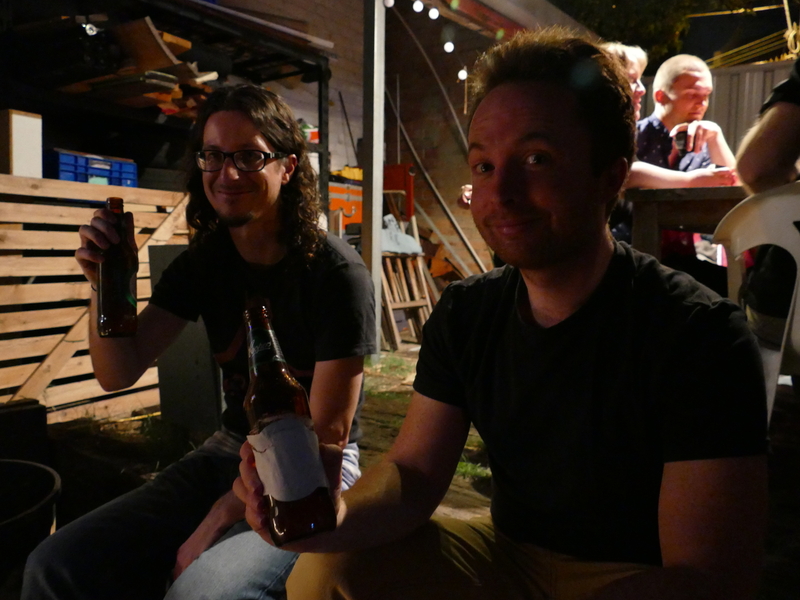 After a brief introduction to all the games and a reminder that the Murdoch site made some weird stuff, we got into it! 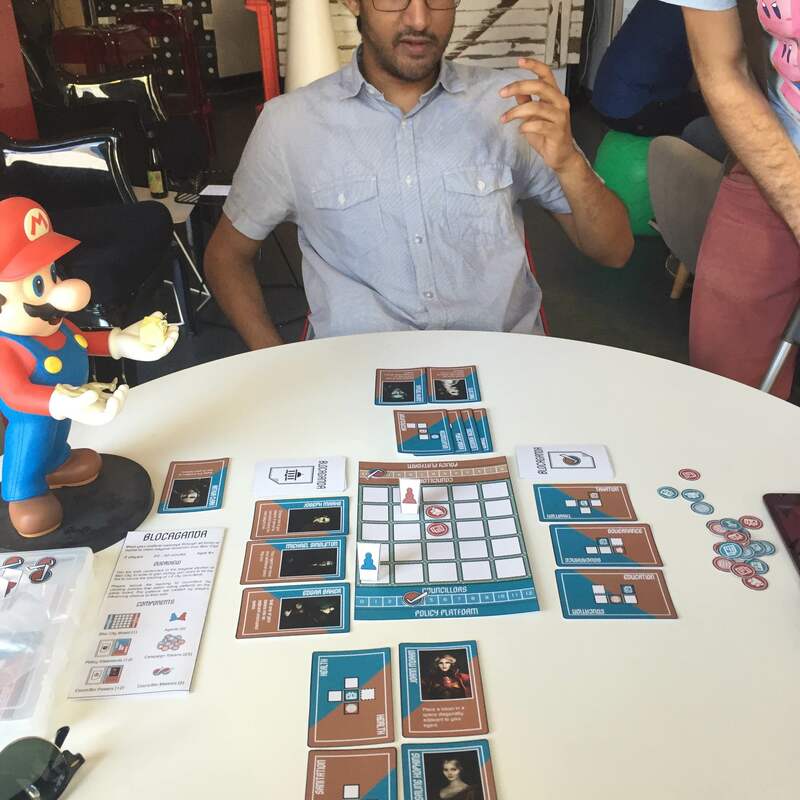 Of course, I’m just one man, so I got Rohan from Gamecloud to help ensure that all 11 games were given a crack. 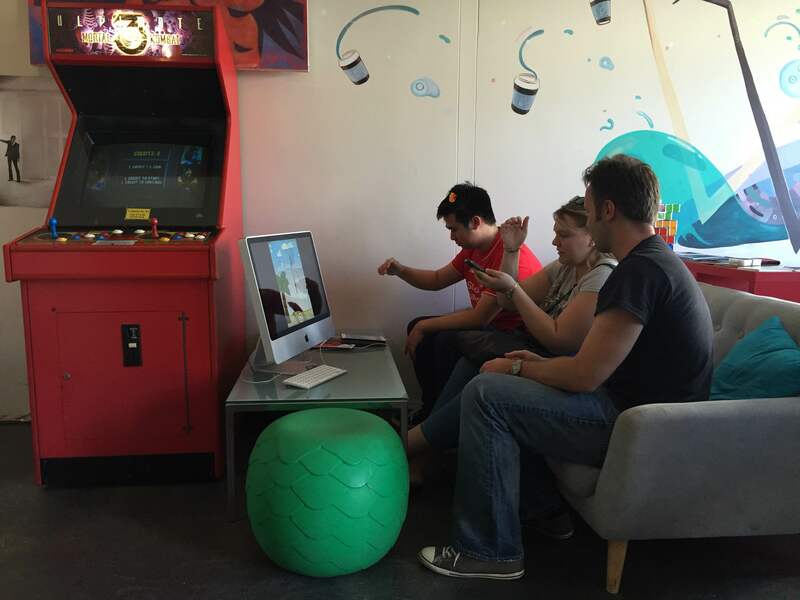 Nick: Made by a father and son duo, Inti’s trial is a simple maze game. You, a small ball, start off at the top of a totem and need to navigate through the carvings and reach the fire at the bottom. It’s nothing flashy, but it’s really cool to see something made by family at these sorts of events. It doesn’t seem likely to be worked on again, but it’s a nice example of what can be done with the people around you. 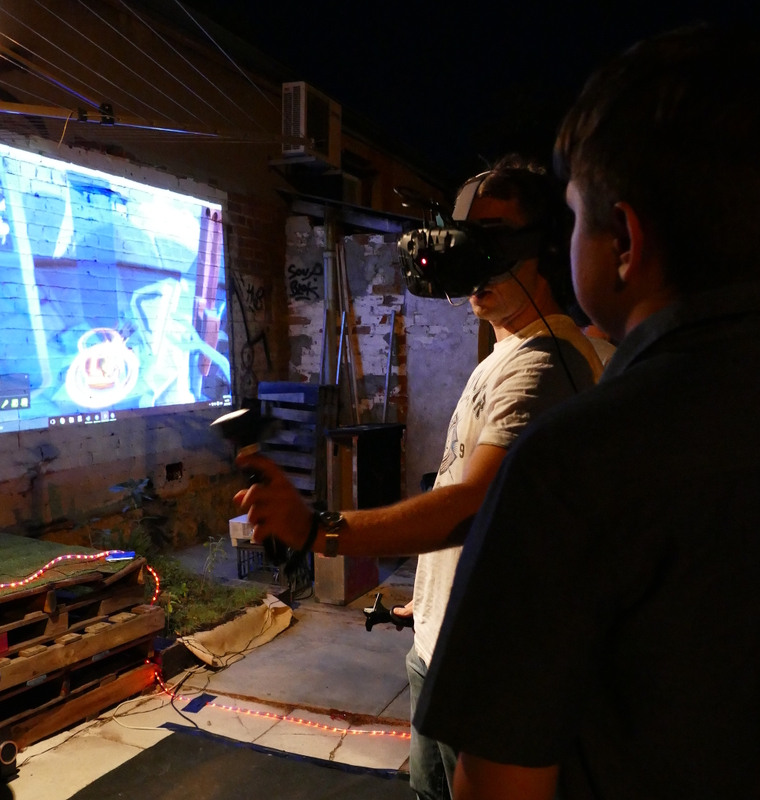 Rohan: Described by team member Lisa Rye as a ‘mechanical rain-dance’, Symphony of the machine was a standout to me, and not solely because it was the only game of the night to utilise a VR kit. 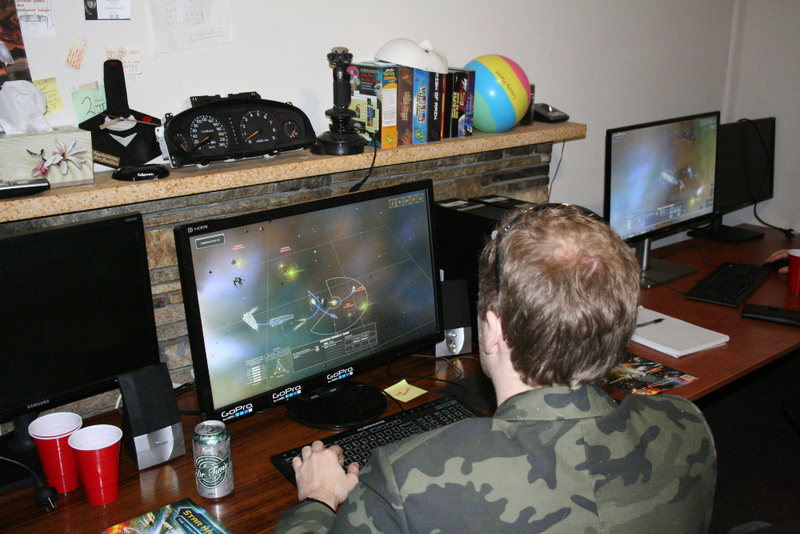 Making use of a relatively small active space, the game limits player movement to the interior of a futuristic bio dome with a view of a distant alien landscape. A glowing interface recalls various combinations of arcane symbols as the player attempts to resolve a specific combination, which will result in alien plant growth. With an aesthetic somewhat reminiscent of early 90s VR, its control method was simple enough to grasp in a single sitting. I even managed to avoid the nauseating vertigo of my earlier experiences with stereoscopic headsets, instead feeling calmly immersed and rather oblivious to the view of my bumblings, which were projected on SK’s back wall for all to see. 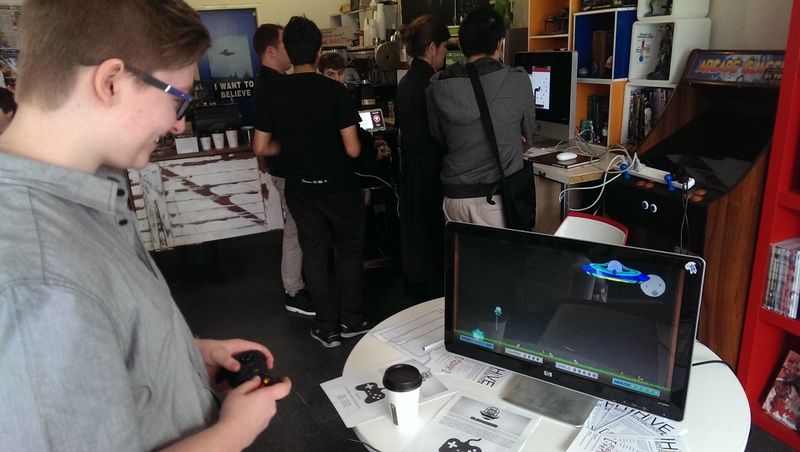 Nick: Golem’s Wake looked like an ambitious game that only had 48 hours to come to life. It was a resource collection game, with the end goal of summoning a giant golem from the earth (because why not, right?). You can summon small golems to help speed up the process, and after a while, you’ll heave a heap of mini-golems doing your bidding. It’s quite a simplistic system, but it felt like if the game was worked on some more, it could develop into something quite interesting. Rohan: Another one of the more finished concepts created at Game Jam this year, Break Out is part joke, part puzzle game. It plays on established perceptions of the conventional player/world relationship and tries to break those expectations. Apart from the initial explicit goal of finding your way out of maze in the fastest time possible, the game lends itself to ambient exploration, featuring a retro-esque voxel look which makes thoughtful use of space balanced with selective detail. 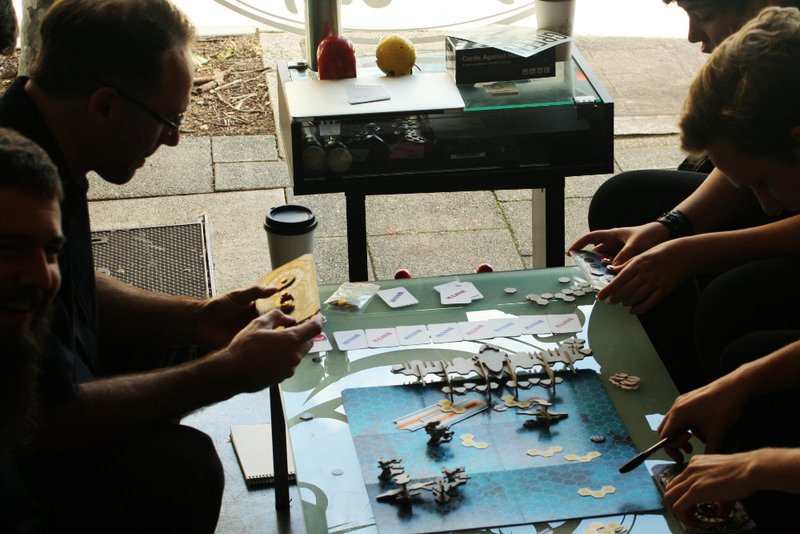 Nick: The first of the tabletop games I tried out, Azimuth, was a novel mix of resource collection, positioning and timing. The main mechanic of the game was positioning your priests to gain resources, but if the sun or moon passed by a priest in your turn, you’d get an extra resource. Unfortunately, I kinda broke the game when I realised that you could gain and sacrifice priests, thus resulting in ALL THE VICTORY POINTS, but it was fun nonetheless. It’s a nifty game, and I’d definitely like to see Wes work on it in the future. Rohan: Humbly described as a ‘running simulator’ by developer Grae Saunders, Ritual Failure could easily be pinned as a procedural mushroom dungeon crawler. The game centres on a musical co-op element where bizarre looking guardian creatures are summoned in order to protect the players from hordes of bats, with somewhat unpredictable results. 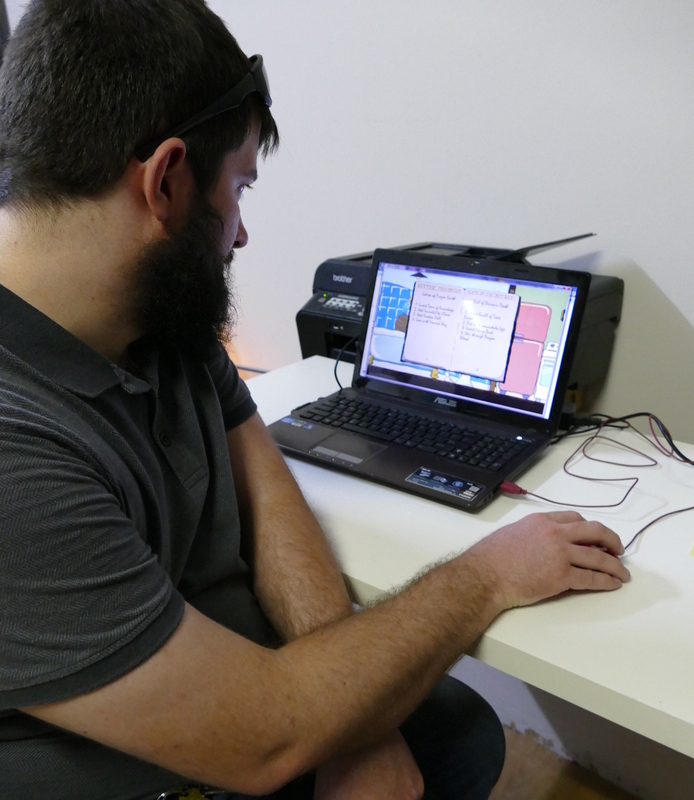 Through the combined effort of a 5 strong team, Grae sought this year’s Game Jam as an opportunity to extend his graphics skills in order to better work with others in his regular role as programmer. Nick: We were warned at the beginning of the night that the Murdoch site had made some rather strange games, and let me tell you, Bathtime Exorcist delivered on that promise. Your roommate Jeb gets possessed, and it’s your job to exorcise the demon using household implements and an ancient exorcism guide. It’s probably the product of sleep deprivation and skulling a few too many energy drinks, but this game is just absurdly funny. It’ll probably never get looked at again, but it was definitely one of my favourites of the night. Bloody Jeb. 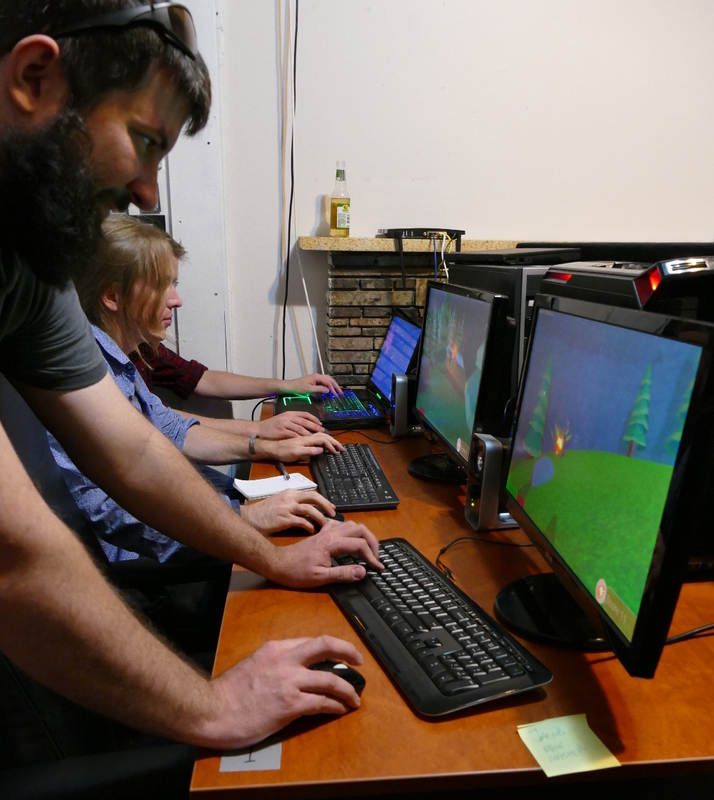 Rohan: Secretly known as Nicholas Mage, Mage Masher is an arena style shooter, with noted influences from Unreal and other similar-era twitch shooters. Featuring procedurally generated maps and a straight forward premise, Mages perform summoning rituals in order to gain elemental powers. You are then obligated, as all mages are, to relentlessly throw said powers at your opponents! 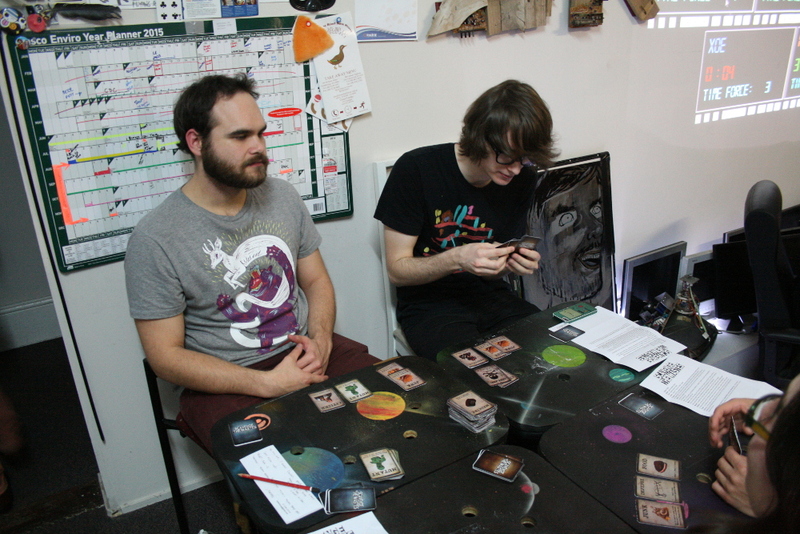 Nick: The other tabletop game on show, Banishment, put one player in the shoes of a demon and pitted them against everyone else, the exorcists. To banish the demon, the exorcists had to complete a number of rituals, but the demon had powers of his own to keep the game going and eventually win. For a game made in 48 hours, it’s surprisingly fun and well-balanced, and there’s nothing quite as satisfying as ruining your enemies’ plans with a well-placed demon card. 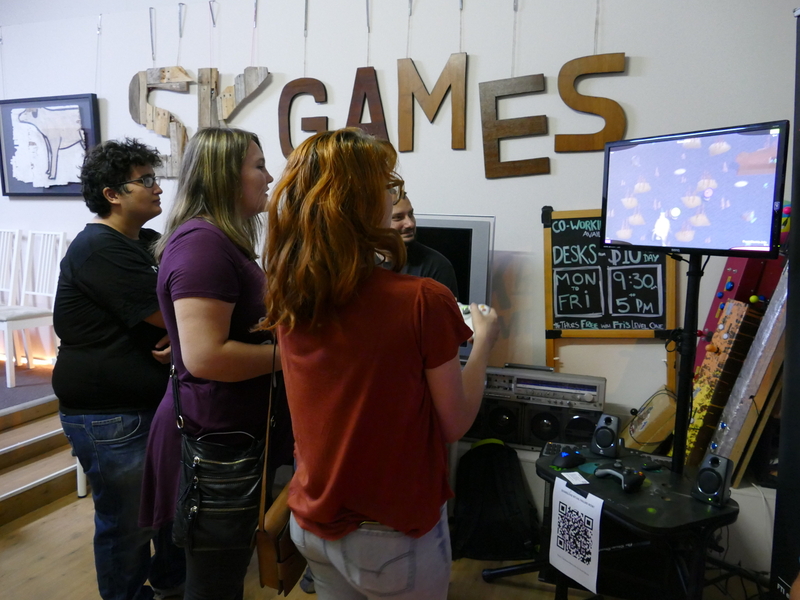 It’s a functional, enjoyable game, and for something that came out of a game jam, that’s pretty awesome! Rohan: A novel concept based loosely on charades, Mime madness involves a co-operative element where the player’s goal is to free their counterpart by combining various ingredients in a cauldron in order to enable a spell reversal. 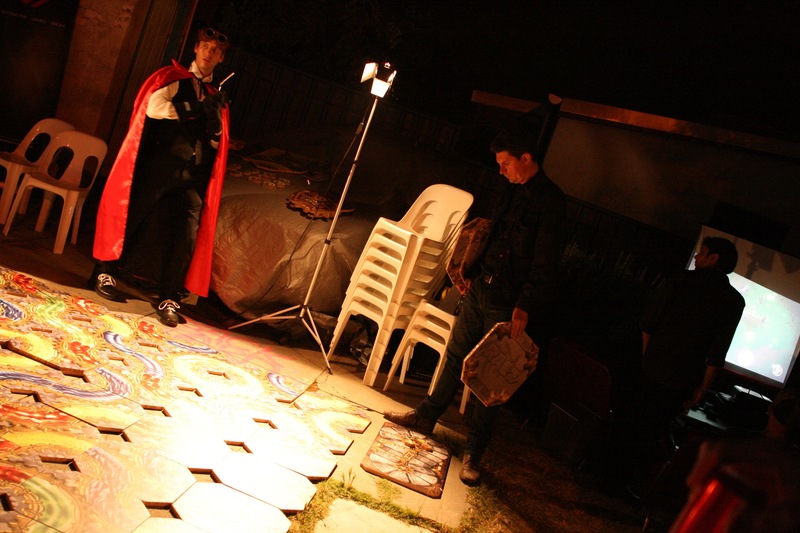 The other player performs mime through use of limited character movements in attempts to direct them to the correct ingredients. 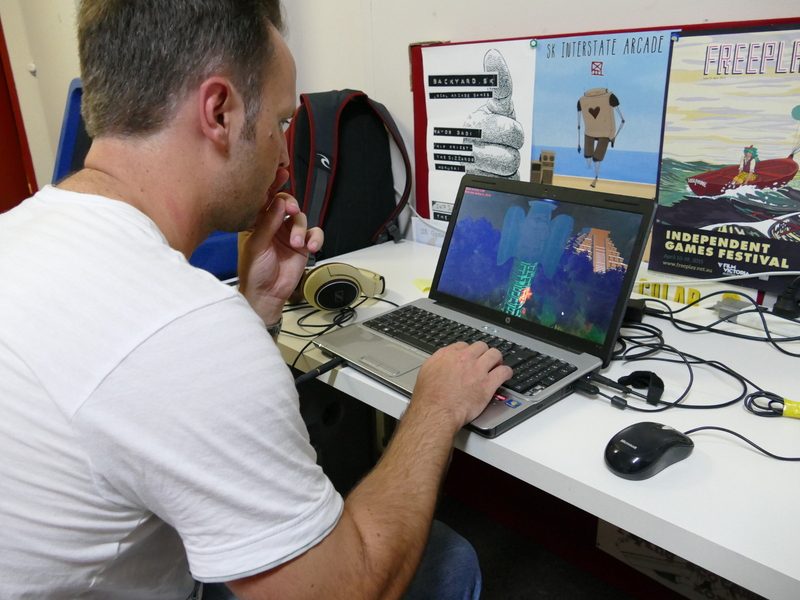 A maiden Game Jam effort for most of the 4 man team, developer Ben Lemmon cheerily described the experience as having an ‘optimistic start and pessimistic finish’. Nick: Following the trend of weird Murdoch games, Too Many Cats is a game about morning rituals. After you set up your ritual in the morning, going through the motions makes cats appear. And butterflies. And weirder things. It’s not really a game so much as a neat little experience, but it’ll definitely leave you questioning what the hell is going on. Alas, it doesn’t seem likely that anything will come of it, but at least we got cats along the way. Rohan: Created by solo jammer Vivien Lengkeek, Must is an exploration into what she describes as “everyday obsessive activities”. 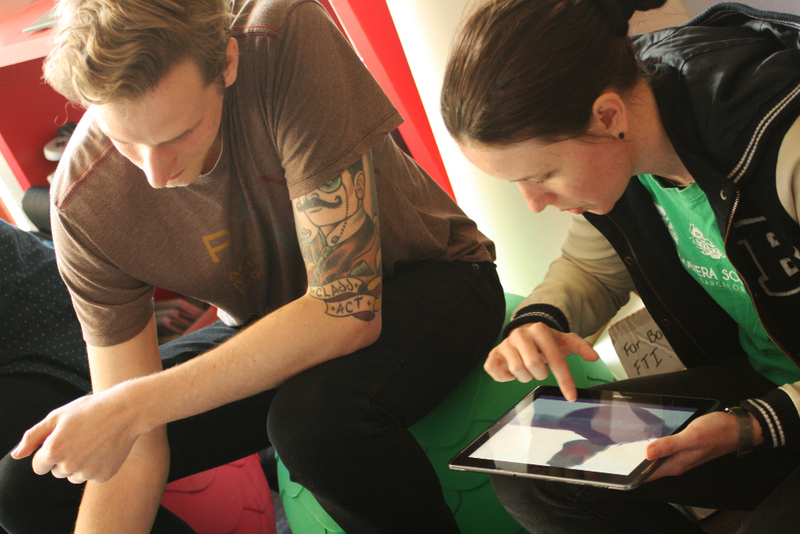 The result approaches a form of touch-based interactive poetry made using the Twine engine. 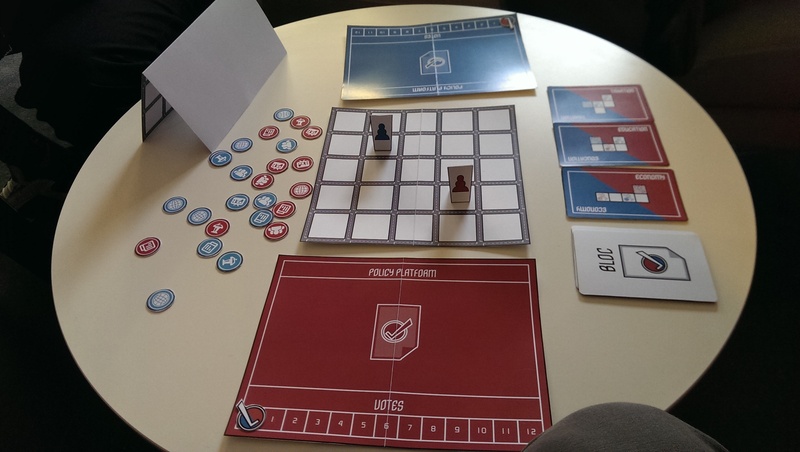 The game takes on an appropriately minimalistic appearance, and mirroring a particularly pervasive form of compulsive behaviour, compels the player to accept one option to the exclusion of all others. 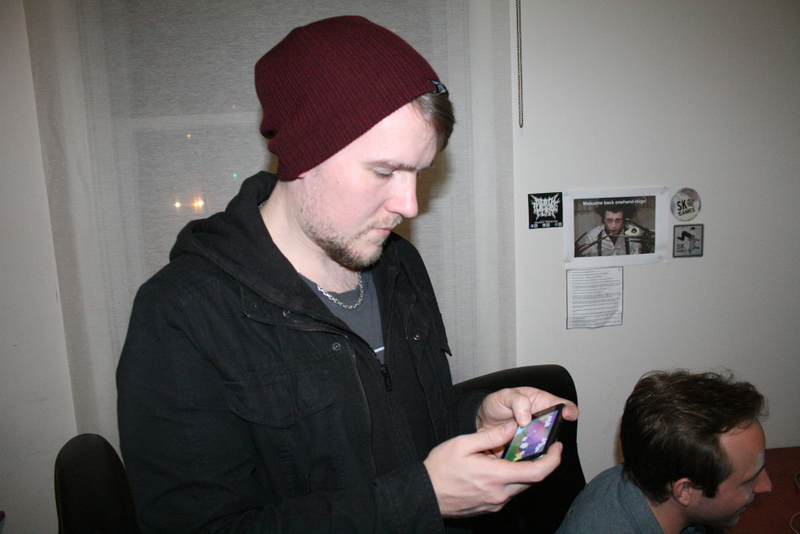 Must is an example of a game that attempts to make a personal statement, rather than place emphasis on more common entertainment aspects. Some of these games were insanely impressive, regardless of the fact that they were made in 48 hours. The fact that they were made in 48 hours is just mind-boggling, but not in the Jeb-got-possessed-again kind of way. 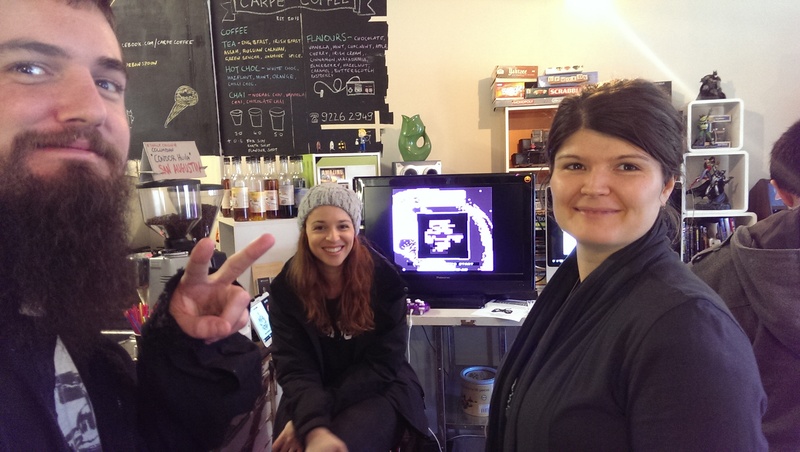 It was a great playup to see what was possible when you put your mind to something, and I’m hoping that next year’s GGJ playup has even more games on show! 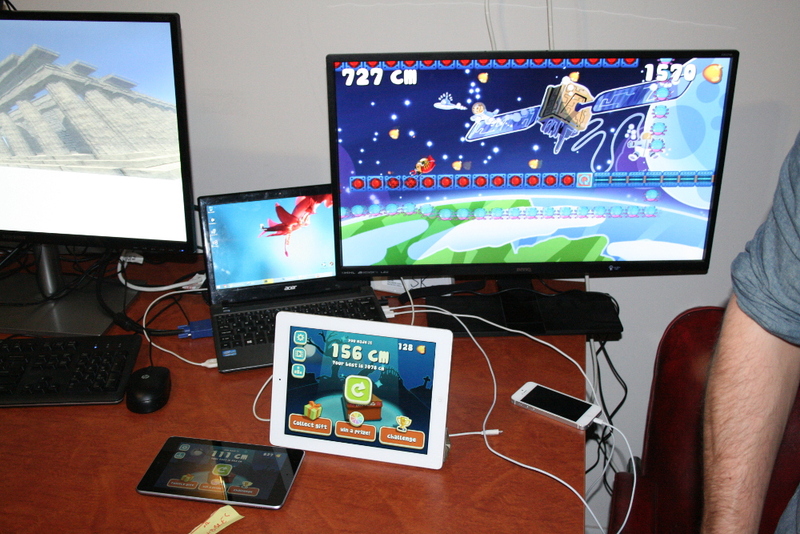 It’s no surprise that it’s hard being a game developer, especially if you try to go for it full-time. It’s a labour of love, but the devs here in Perth are crazy enough to go for it, even if it means tinned tomatoes for dinner. 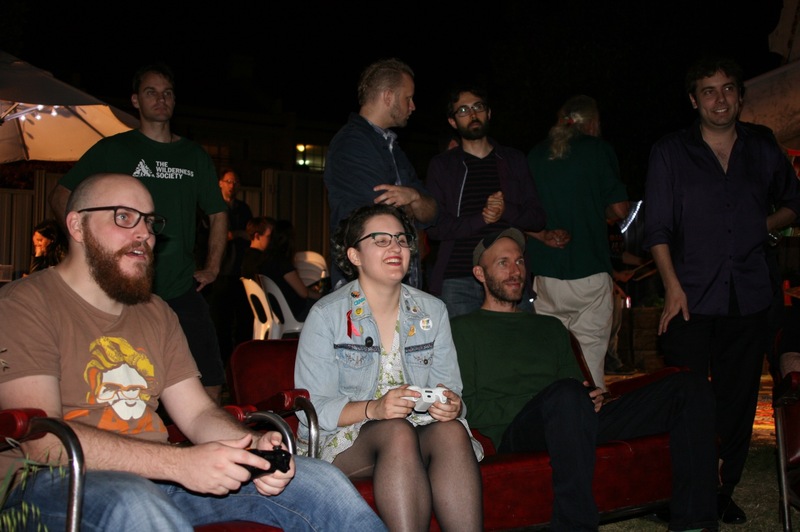 Playup Perth was established to help out these local devs in connecting with the public, and with the latest Playup, we’ve finally made a connection to the political players too. 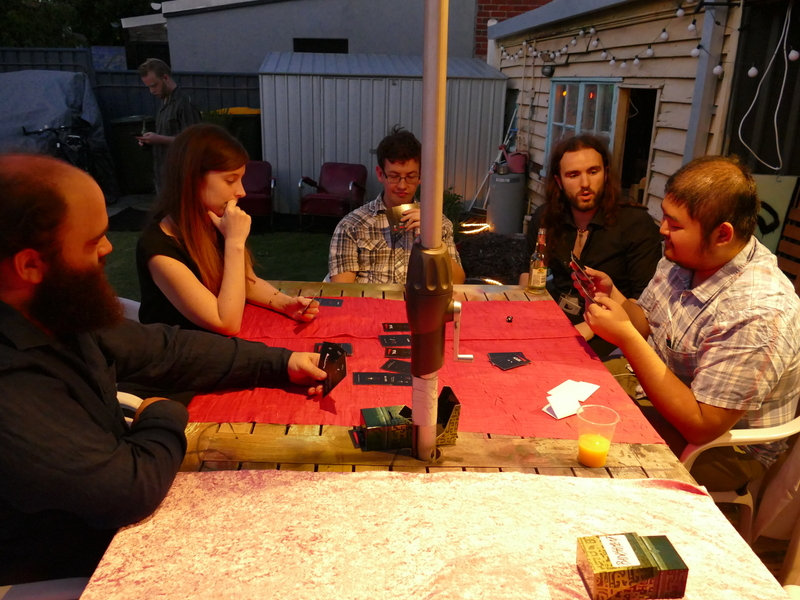 It was a special night filled with heaps of games, so for everyone who coudln’t make it, here’s a quick rundown of the evening. 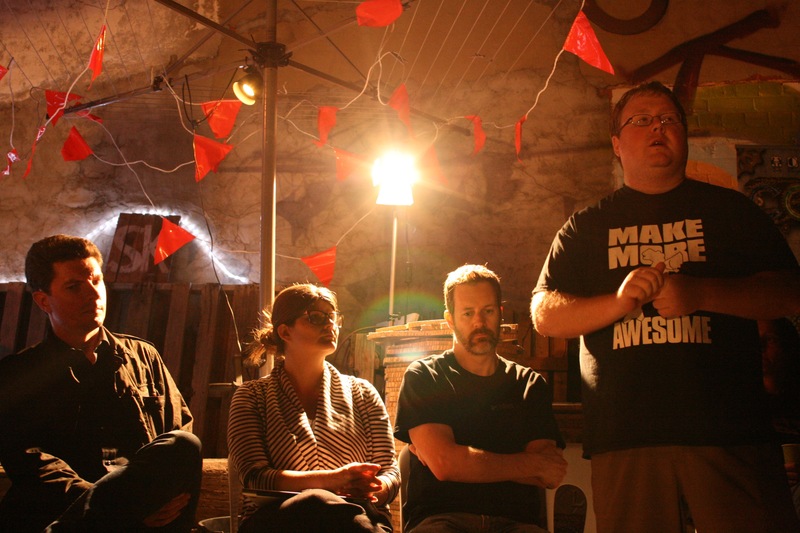 It all started off with a quick discussion from local devs about what they’d like to see from the local industry. 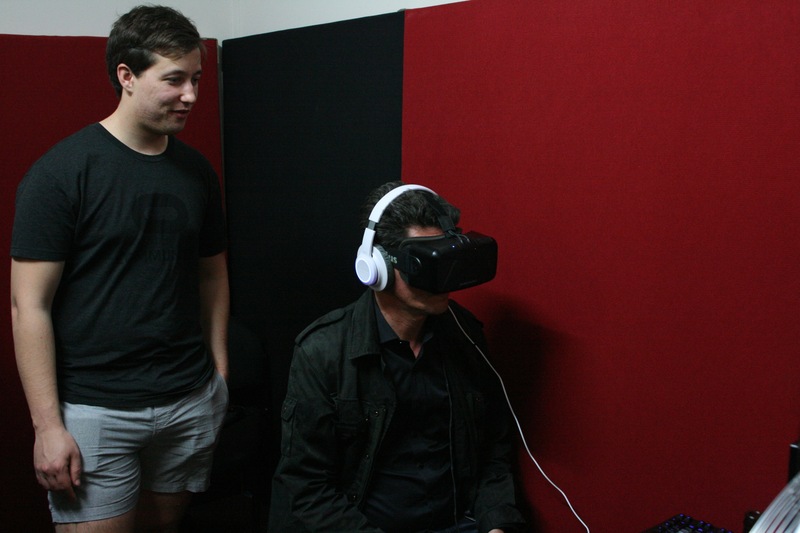 Scott Ludlam was present to make sure he got a clear picture of what could be done for these guys, and, you know, to play some games. There were some great points made from all round, but there was one clear message behind them all: Perth is a pretty rad place to be. Everyone said only positive things about the community here, and it really is remarkable when you consider how isolated we are from one another. The main hurdle mentioned by the speakers wasn’t to do with making games, but it was having the capacity to make them that was the issue. 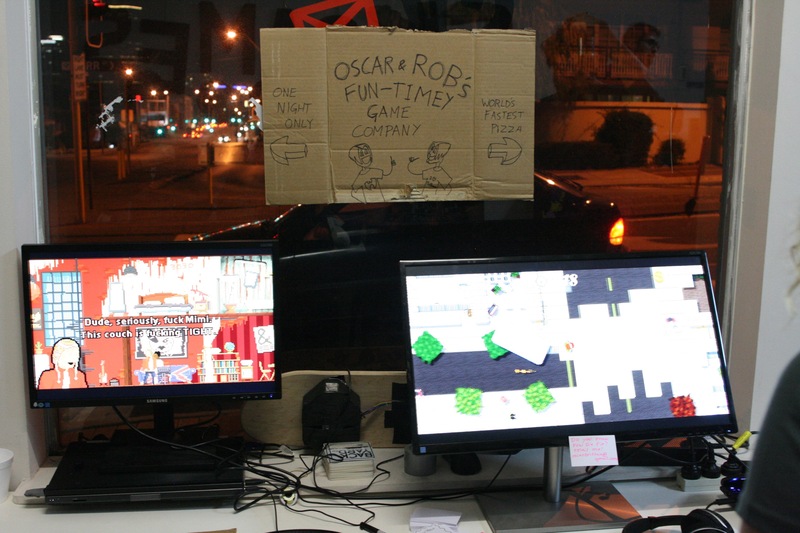 Financial limitations and a lack of dedicated office space (like Spacecubed) means producing high quality games is difficult without resorting to Kickstarter or moving to Melbourne. 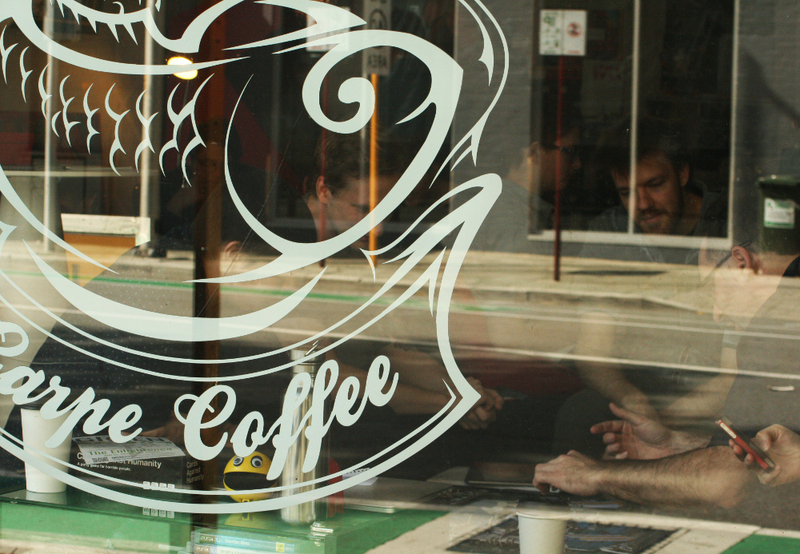 There are very talented people here in Perth, but they don’t have anywhere to flourish, and that’s a problem. It’s difficult for game devs to make the changes they’d like to see without support from somewhere else, but once it gets off and running, it’s a different story. 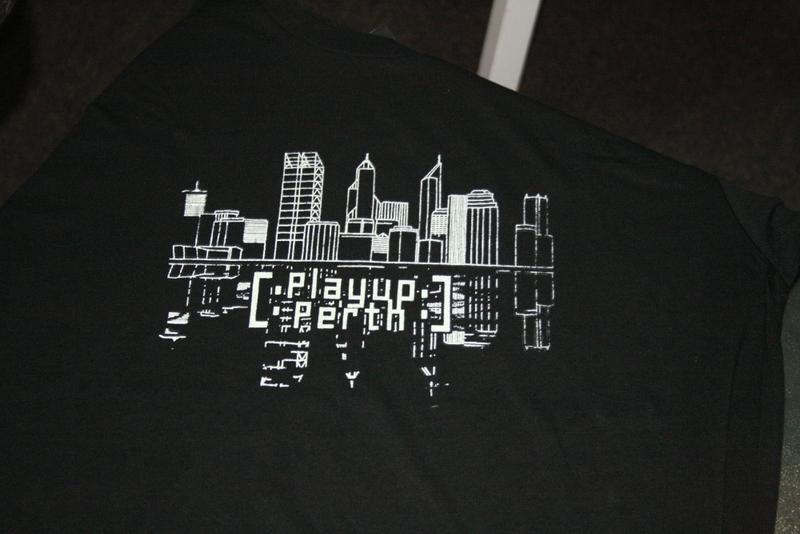 What was ultimately desired was to put Perth on the map as a hub for sustainable game development. Simply being given money is one thing, but being able to take that money and turn it into an ongoing source of income is quite another. 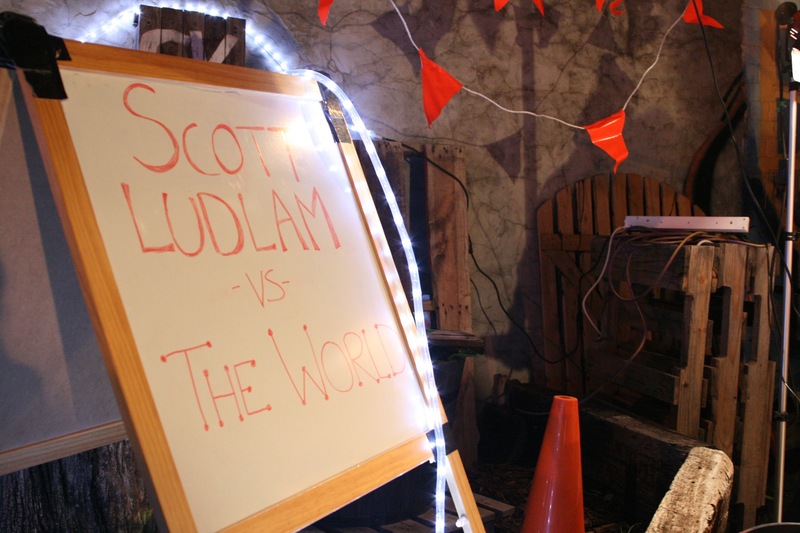 Scott Ludlam briefly reminded us all there’s also more to all this than just making money. Games are a new art form, and while we haven’t seen much to suggest that from the medium yet, the early days of film were just as questionable. After some great discussion, we were all ready to get playing, and we did just that! The last time I had my hands on Bramblelash was a few Playups ago, and a lot has changed since then. The core mechanic of having a line of bramble join two players is still intact, but now there’s stuff like terrain and different game modes in the mix. The PVP mode involves some hilarious backstabbing, and the co-op adventure mode is looking like it’ll be a great romp with a few friends on the couch. Apparently it’s on Steam Greenlight, but without a single player mode (which seems impossible), it seems like a strange choice to release it there. Still, it’s grown into a solid game thus far, and hopefully it will only become more polished moving forward! No matter how many times I try out Valiant, I’m always impressed at how satisfying the game feels. There’s something about riding a horse in VR and slamming your lance into some other sucker that’s so damn pleasing. The last few times I’ve tried indulging in VR, that horrible motion sickness hit after a few minutes, but the guys have been hard at work to fix it for Valiant. I can safely say that this time round was the best yet, thanks to the addition of a fixed helmet on the screen, so I could joust dudes down for hours if I had to. There were also new weapons and AI this time around, so I’m looking forward to seeing what else the guys put in there for next time! There’s nothing like a platformer with a quirk, and D3bug seems to have caught onto that. It’s a typical platformer, but you can morph the stage with a variety of “hacks”, like making a platform acquire it’s own gravity. If I was a kid, I would be freaking out that I could change the world to suit my needs, which probably sounds a little psychopathic, but it’s a really interesting idea to explore. This was just the first public showing of the game, so the demo was extremely short, but I’m really excited to see where Stirfire takes it! Picture the most outrageous pizza delivery you’d ever have to do. Multiply that by a thousand, then shove a flying shark in there, and you get a sense of what World’s Fastest Pizza is all about. It’s a bit like if GTA was a game about delivering pizza while ingesting as much meth as possible, all while making sure you don’t get fired. Or die. Needless to say, it bewildered me in all the right ways, and while it was more zaney rollercoaster than full game, it kept me coming back again and again. 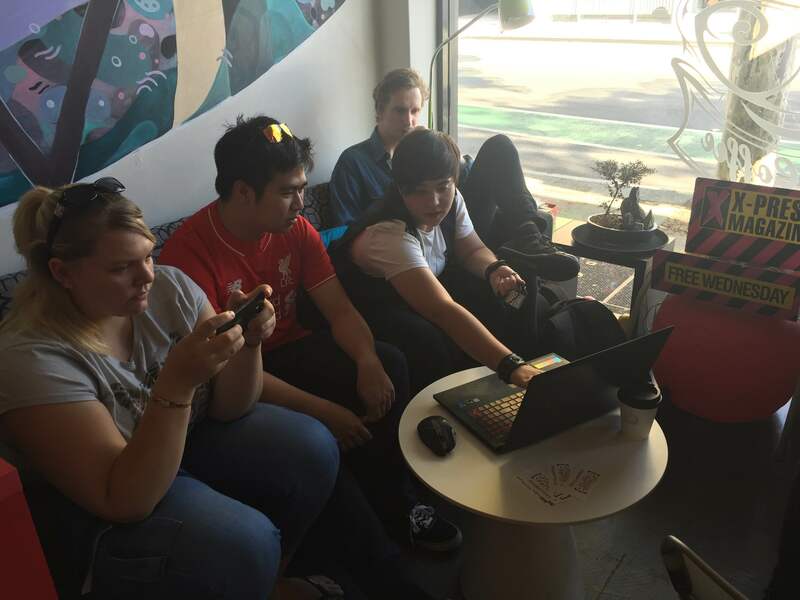 If you’ve been to almost any gaming event around Perth, chances are Wes Lamont’s Cogz has made an appearance. After a successful kickstarter and a heap of playtesting, Cogz is available to the public in both human and ludicrous sizes. I’ve only seen the ludicrous size from afar, and I’ve always thought that a lot of work went into those wooden pieces. Turns out they’re cardboard, so it’s just like playing the small version (which was already pretty fun) but on a ridiculous scale. There’s not much to say about Cogz other than that it’s good to go, and if a competitive multi-player puzzle game sounds interesting, I’d recommend checking it out. Unfortunately, because there were so many games, I couldn’t get around to trying them all out. Thankfully, Bernadette over at Gamecloud took up the reigns and covered the other games (including Star Hammer, One Night Only and Blitz Bandits), which you can read over here! 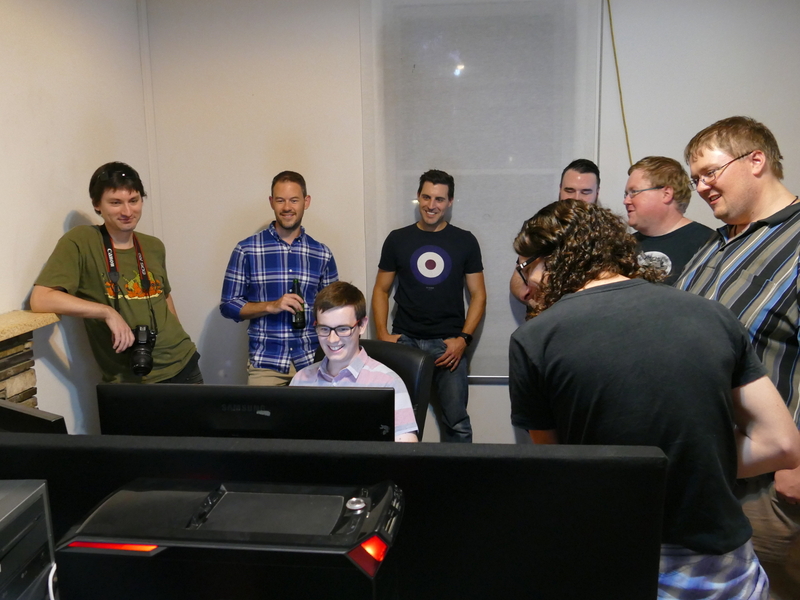 It was a very special night for everyone involved, and a great evening for all the local devs to connect with someone from the political sphere. 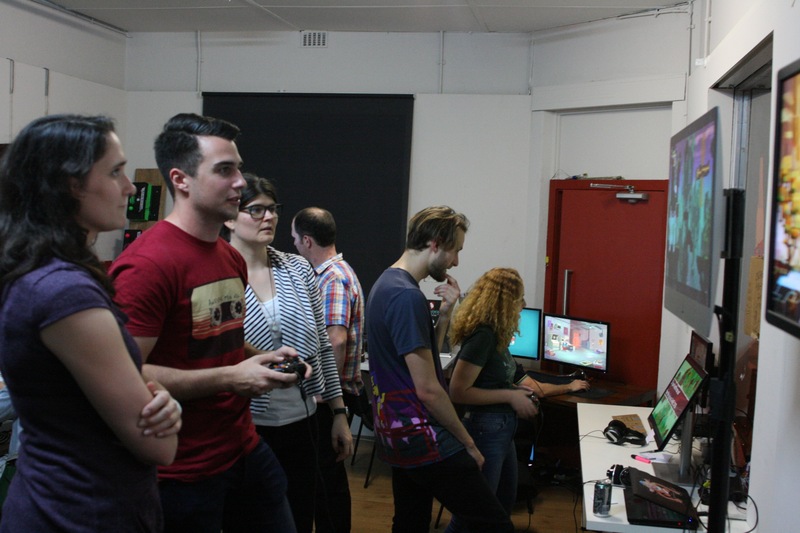 This is what Playup Perth is all about, after all, and seeing Scott Ludlam take in all the potential on display makes me optimistic about the changes we can make for the local scene to grow. Hopefully, we can bring in more high-profile guests for future Playups, but only time will tell. Eight games doesn’t sound like a huge number until you see them all in the same room, but it’s even crazier when you realise that one of them is a gameshow! 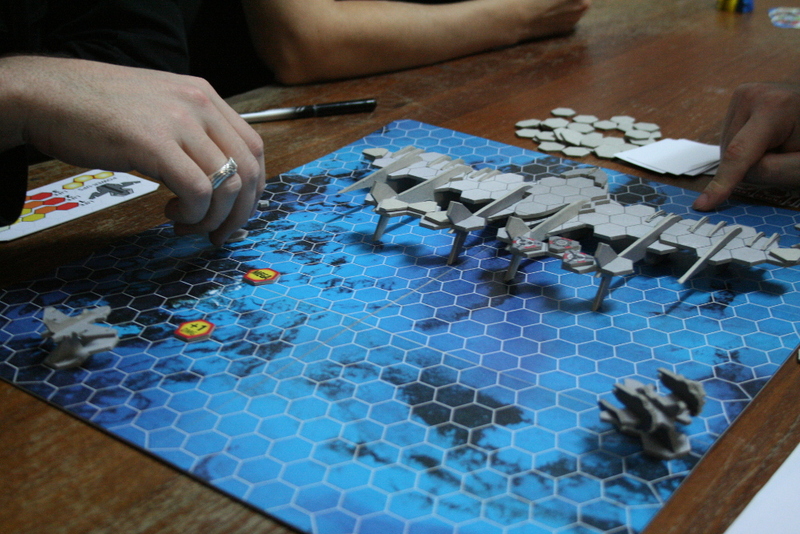 This was the biggest Playup so far; it was so big that I’d call it more of a mini-con than a playtest session. We had games that were already released, games that were barely in their infancy and even a whole bunch of kickass shirts for sale. 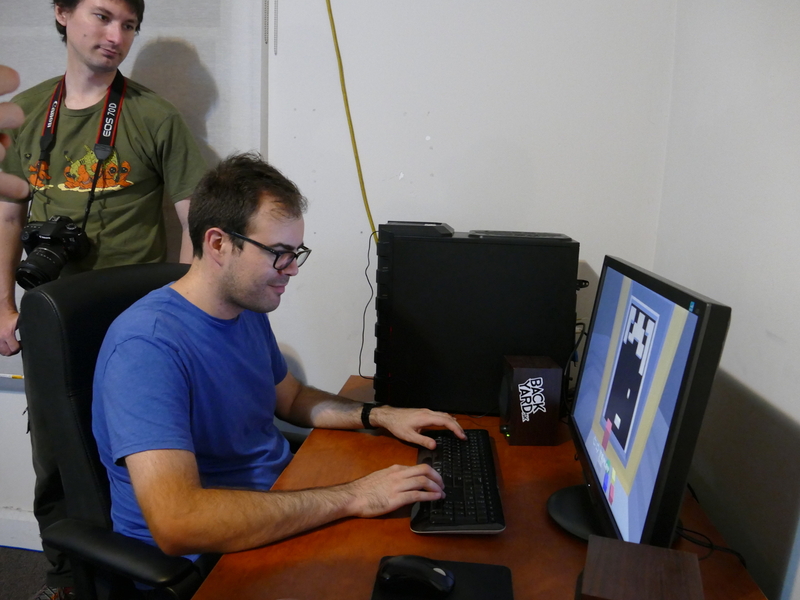 Playing every game in the few hours we had was practically impossible, so I enlisted the help of Will Kirk (Editor-in-Chief over at Gamecloud) for his help in the writeup to make sure no game was left behind. 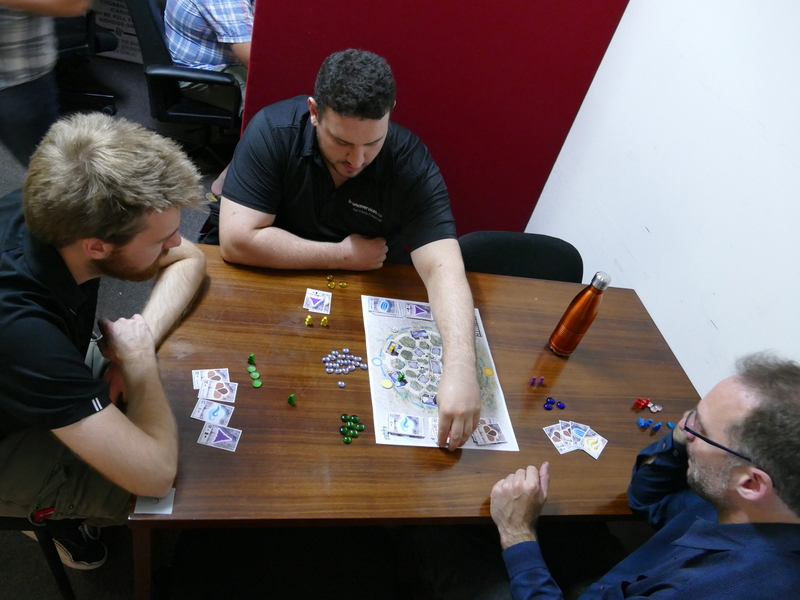 Will: Tabletop is an area of gaming that I’m still relatively noobish with apart from way too much experience with Settlers of Catan, but there are two things I know I enjoy: resource management and ‘dogging’ any players that get in my way. Doomsday Convention is a new game from COGZ creator, Wes Lamont, and one which strongly incorporates those two qualities. 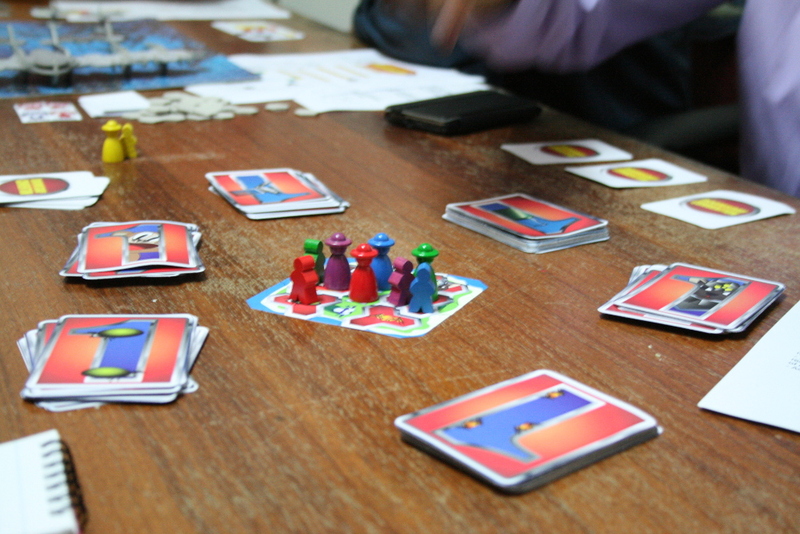 Using a board built around resource collection and modifiers, the aim of the game is to move two units around (an evil genius and a minion) in order to fill up three resource cards as precisely as possible. Only you know what you require for each card, and at the end you will be penalised for going under or over any particular resource. Using modifiers, you can strategically work to earn optimal results for yourself or throw other player’s plans into chaos. Will: While not my favourite genre given the time investment that’s usually involved, I still have a great respect for both the RTS and space sim genres. I love sci-fi, so I definitely find this particular sub-genre interesting and feel generally clued in on what’s going on. 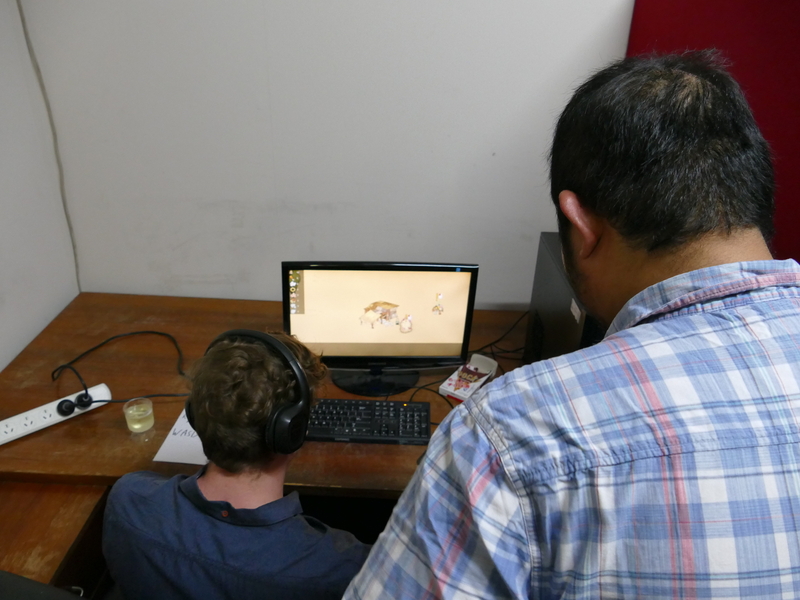 Last weekend was the first time I personally got to go hands on with Star Hammer, and it was something I enjoyed as I chatted away with Lead Designer, Paul Turbett about his influences and approach to game development. Out of all the Perth-titles I’ve played, it’s definitely the one I feel most steps beyond the banner of ‘indie game’ to hold itself within the genre as a full-fledged experience. It’s clear budget restraints held back its full potential with the storytelling, in particular, but Star Hammer is still a fantastic example of the potential within our local industry. Will: The title ‘Fart Surfer’ wasn’t exactly something that captured my interest at first glance, but maybe that’s just a sign I’m getting old and rigid. 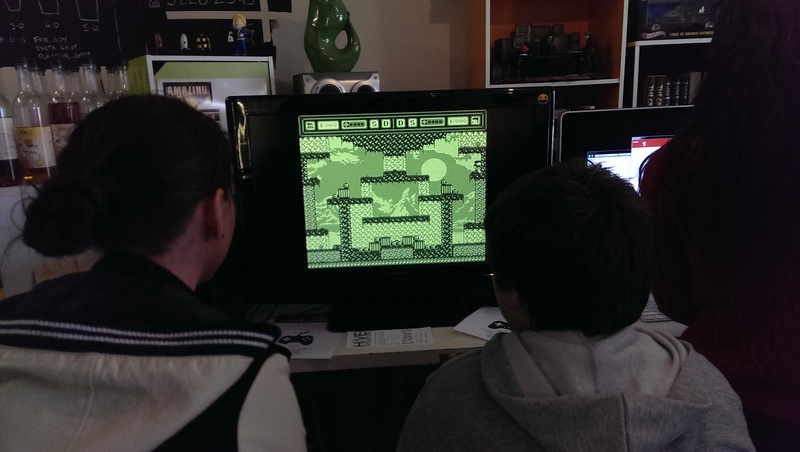 In fact, I was pleasantly surprised by the build quality and challenge once I went hands-on with the game itself. In many ways, it reminded me of Perth’s own Space Strafer in combination with the addictive nature of the highly controversial Flappy Bird. As the debut title from Pete Phillips and his new studio 1984 Games, Fart Surfer has a visually appealing design that works well in combination with some catchy tracks. There are multiple difficulty settings and greater obstacles to overcome with each new level. Running on both PC and mobile, it’s just challenging enough for a casual demographic to enjoy and the theme will no doubt sit well with younger players. Will: When I first spotted Rogue Blitz, I was both excited and overwhelmed – as I mentioned earlier, I’m a bit vanilla when it comes to tabletop gaming. However, like every game I’ve tried before it, once I got my head around the rules, I had an excellent time. In fact, this was without a doubt my favourite experience of the night as I’ve never played anything quite like it. Except for the video games it’s inspired by, of course. Basically, Rogue Blitz is a tabletop take on vertical scrolling shooters such as the classic Raiden. 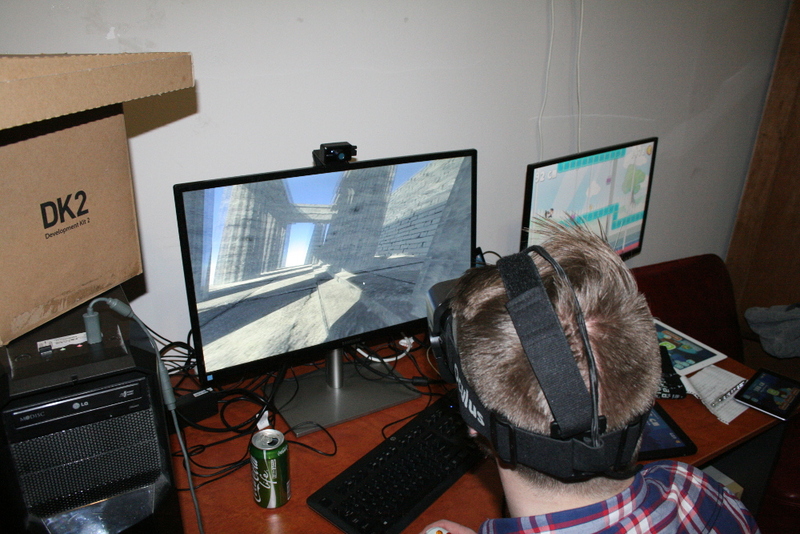 It’s not something I thought could work in a physical form, but creator, Wes Lamont already has it in a functional state; though it still requires refinement to make the gameplay more fluent. 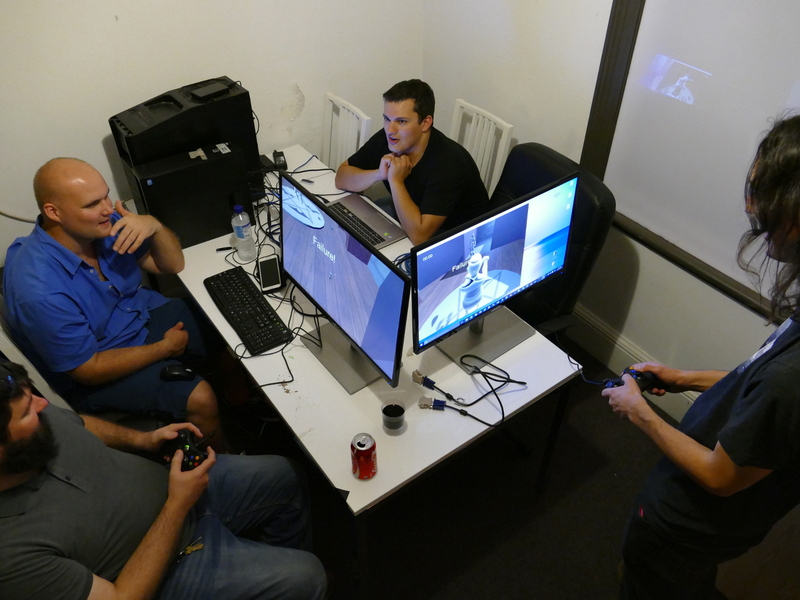 What I especially enjoyed about it was getting to play co-operatively with other players in order to take down a boss.